Take one scoop of vanilla protein and add an egg white to a bowl. Add the vanilla, baking powder add about 1-2 tablespoons of water and mix well. Place onto waffle maker until cooked all the way through. In a separate bowl take about 2 tablespoons of powdered peanut butter and mix with water. 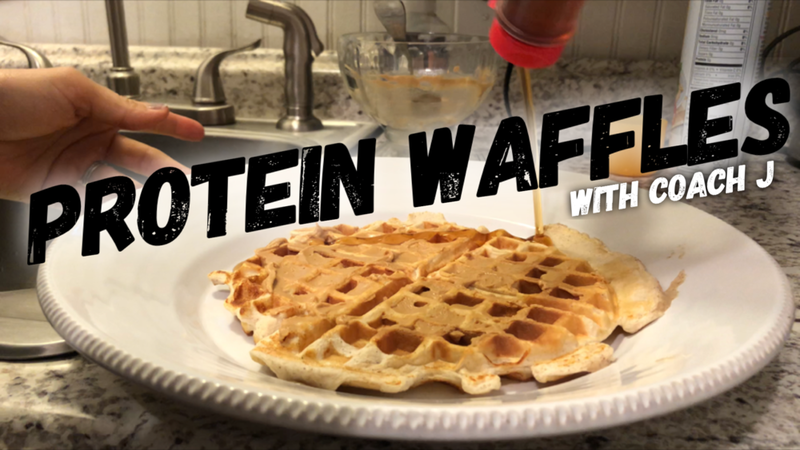 Once protein waffle is complete spread the peanut butter on top and drizzle some sugar free sugar.